No matter what business you are in, it's December and it's time to create a strategy for 2015 if you do not already have it in place. Keep in mind that having a strategy in place is how you can reach your goals. The dictionary defines a goal as the object of a person's ambition or effort; an aim or desired result. 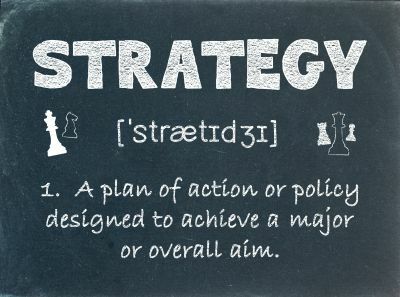 As you can see by the definition on the left, strategy is a plan of action or policy designed to achieve a major or overall aim. There's that word "AIM" again. Is your "AIM" to go from being a part-time professional photographer in 2014 to a full-time professional photographer in 2015? If so, create a written strategy to help you get there. If you are already a full-time professional photographer and your "AIM" in 2015 is to do "X" more weddings, "X" more corporate events or "X" more portrait sessions, create a written strategy to help you get there. What's your strategy to help you reach your goals? Only you can decide what you can do with your time and money to help you reach your goals. If you don't have a lot of money to work with on reaching your goals, you'll have to decide how you will use your time to reach your goals. One way that I use my time is by blogging. To me, it's an important part of my online marketing strategy. Blogging takes time but can and usually does make a difference in your online presences. I'd like to start doing YouTube videos, but it's not a top priority for me a the moment. Although that is a long term goal, I do not have a strategy in place to get me there. If you don't have your strategy for 2015 in place, make some time in December to set some goals and create a written strategy that will help you get there.